(TibetanReview.net, Feb14, 2015) – More than 4000 people attended the Dalai Lama’s talk on ‘Strength Through Compassion and Connection’ given at the Bella Conference Center in the Danish Capital Copenhagen on Feb 11. He was introduced by Lakha Lama Rinpoche, chairman of the association of seven organizations which had invited him. Asked whether he felt that doors for influence were closing because of political leaders declining to meet him, the Dalai Lama replied in the negative. He said he was primarily concerned to interact with the public. He also reiterated that China wanted to join the international mainstream and it was up to the free world to lead her towards democracy when asked whether the politicians’ steps to maintain relations with China was in everyone’s best interests. The Dalai Lama also had an inter-religious meeting with Danish representatives of Christianity, Judaism, Islam and Hinduism. He pointed out to them that despite doctrinal differences, all our major religious traditions focus on the practice of love and compassion, supported by forgiveness, tolerance and simplicity. The group explained their plans for an inter-religious conference in 2017/18 and sought his support. 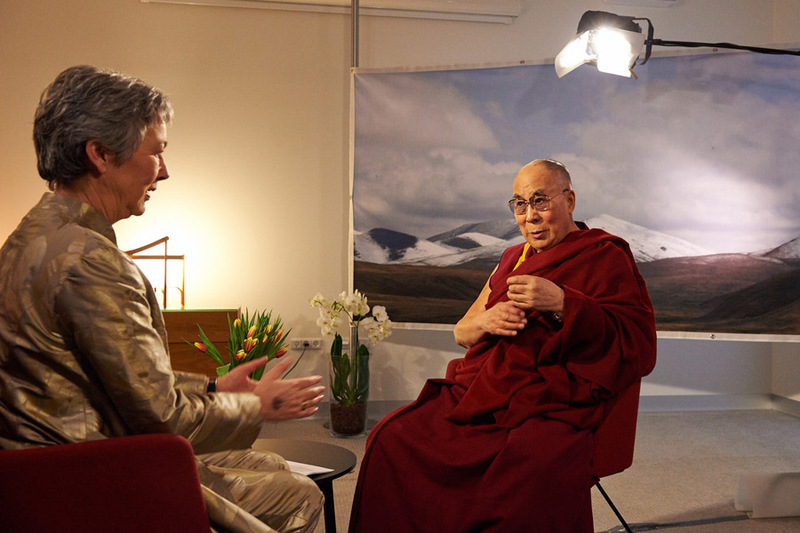 In an interview with Mette Holm for the TV2 television channel, the Dalai Lama said he would love to see a delegation of experts go to Tibet to investigate the ecological situation there. Asked how Chinese Buddhists reacted when they came to meet him, he replied that they were often in tears. As to whether there was freedom to practise Buddhism in Tibet under the current Chinese rule, he explained that when he took his final exams in 1959, there between 7000 and 8000 monks studying at Drepung Monastery in Tibet’s capital Lhasa. Today, he continued, reports suggest there are fewer than 100 monks with no proper teachers or serious study. He was also interviewed by the DR1television.